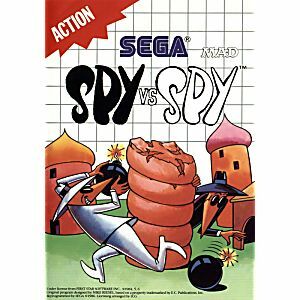 Spy vs. Spy Sega Master System Game Cleaned, tested, and guaranteed to work! I always like when games try to do something different, and I appreciate the effort and humor of this game. 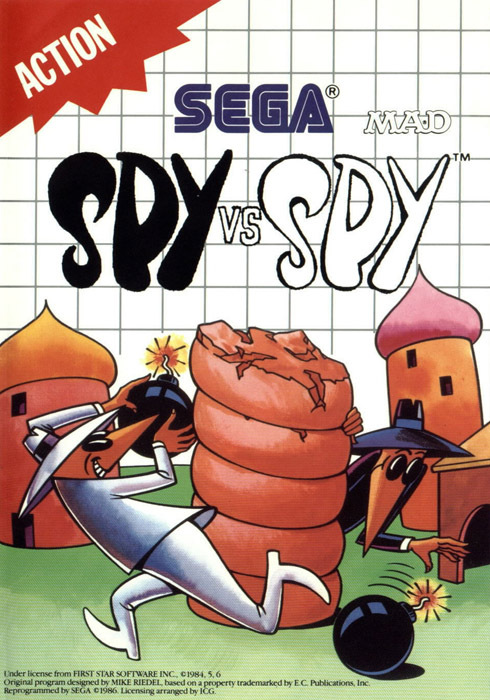 You enter a building and compete against another spy laying traps and battling to be the first to find the money and plans to escape. Its really quirky and fun with another player.